In this post I wanted to talk about the $200 annual Uber credit offered on the Amex Platinum Card. This is a benefit that was just recently added to the card, at the same time that Amex increased the annual fee on the card. I think that this benefit alone more than justifies the annual fee hike on the card. What is the Amex Platinum Card $200 Uber credit? One of the benefits of the Amex Platinum Card is that you get a $200 annual credit with Uber. Unfortunately this isn’t just a single $200 Uber credit you can use at your convenience, but rather it comes in the form of a $15 per month Uber credit, and an additional $20 credit in December (for a total of $35 worth of Uber credits in December). So as long as you would otherwise spend at least $15 per month on Uber (and $35 in December), you should be able to maximize this. How do you activate your Amex Platinum Card Uber credit? 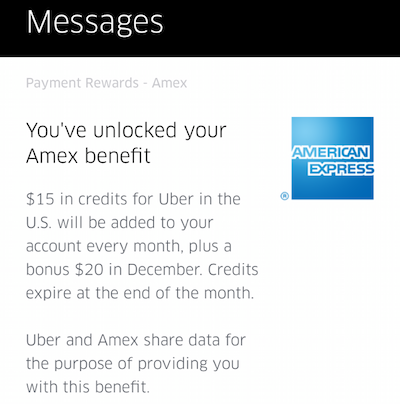 Activating the Amex Platinum Card Uber credit benefit is super easy. To do so, simply add your Amex Platinum Card as a payment method through the Uber app. This can be done by opening up the app and clicking on “Payment,” and then entering the Amex Platinum Card number, expiration date, security code, and zip code of the card. Once you’ve added the card as a payment method, you’ll get a message indicating that you’ve activated this perk. You should also see the credit listed in your payment drop down — it should say “Amex Benefit” next to it. Uber is able to tell that the card is in fact a Platinum Card, which is how they link it. Then when you click on the “Amex Credits” button at the bottom, you’ll see the details of your credit. Then when you go to request a ride, you should see the credit reflected right above the button where you request a ride. Unless you change anything, that credit will automatically be applied towards the cost of a ride. If you don’t want to use the credit towards your next ride, click on the “Amex credits” area, and you’ll be able to change your payment method. What are the restrictions on using the Amex Platinum Card Uber credit? Each $15 Uber credit ($35 for the month of December) is valid only for the month in which it’s issued. That means the one issued on April 1 is valid through April 30. Unlike promo codes, these credits can be applied towards multiple rides. So if you have a $10 ride and use the credit, you’ll have a residual credit of $5. Furthermore, these credits are applied after other promo codes, which is good. In other words, if you have a promo code for referring someone to Uber, that amount would be applied, and then the credit would be applied, meaning the two are combinable. Lastly, there’s no requirement to pay the residual ride cost with your Amex Platinum Card. You can pay it with any card. You only have to link your Amex Platinum Card for the purpose of triggering the benefit. Do Amex Platinum Card authorized users get Uber credits? This benefit is exclusively available to primary cardmembers on the Amex Platinum Card. However, you can apply the $200 in yearly credits to any Uber account. To take it a step further, you can actually link multiple Amex Platinum Cards to a single Uber account. In other words, both Ford and I have Amex Platinum Cards on which we’re the primary cardmembers. We were able to link both of the cards to a single Uber account, which now has $30 in monthly Uber credits. How much is the Amex Platinum Card Uber credit worth? Like most things in life, it depends. If you’re someone who is boycotting Uber or who doesn’t use ridesharing apps, of course there’s not much value to this. If you’re someone like me, who uses Uber over a dozen times a month, I value this at pretty close to face value. I’m pleased to see this benefit can be combined with other promo codes, so to me the benefit is almost worth face value, probably around $180 or so per year. However, if you don’t use Uber, keep in mind that you can make someone’s day by giving them your credits. Now, make sure it’s someone you trust, because they need to store your credit card number in their Uber account to keep this activated. While I was worried there would be a lot of gimmicks when this perk was first introduced, I’ve been pleased with it so far. I absolutely value the $200 in Uber credits at more than $100 (which is how much the annual fee increased), so I view the changes as a net positive. 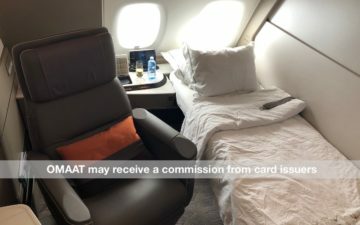 Between the $200 Uber credit and $200 airline fee credit, I’d say I value that at ~$350 or so, which goes a long way towards covering the annual fee on the Amex Platinum Card. Is this only for US registered AMEX Platinum accounts? Can you use the credit for UberEats? Have to say only having a couple of days to use the March credit was kind of “scammy” (sure it isn’t a word, but…). So that was $15 lost as I am only an occasional user of ride services. @ Thomas — Correct, only for US registered cards. @ alliance — I’ve seen reports that they do, though haven’t tried myself. Maybe someone can chime in and confirm? Qualifyer is missing: only for US residents. We used our March credit on UberEATS and it seemed to work just fine. @alliance, yes (so far) – I used the credit for UberEats on the 31st, and it was applied to the order. @ Chris Backe — I find that they’re actually quite easy to be approved for. That’s because it’s a charge card, meaning you have to pay off your balance in full every month. This makes it lower risk for the banks. I find the Platinum Card is actually easier to be approved for than most Chase cards. Hey everyone. I have been a platinum member since 2003 and do know the inns and outs with regards to this card. I am very happy when they teamed up with Uber and that AMEX is putting into our Uber account that is linked to an AMEX PLATINUM card. They do it automatically. It’s automatically applied. You don’t need to do anything. It’s basically when you originally sign up for the deal, and they take it from the balance. I use UBER a lot! @Chris: it’s something that is unknown at the time. I am still certain its 95% invitation only unless you are lucky to just apply and hopefully it works out. I know many people with 700+ scores didn’t get the card. Lucky: it’s not so much lower risk… It actually is higher risk. I took ubers on 3/29 and 4/1 and paid with my Amex Platinum both times. The trip on the 29th received no credit; the trip on the 1st did. However, it wasn’t a typical ‘Amex offers’ credit listed as a green line item at (-$15.00). Rather, it was just $15 off my fare; no mention of a credit. I should mention that I did not activate anything. I’m a current uber member and have it linked to my Platinum Amex already. Two questions here: 1) why did I not get the “March credit” for my ride on 3/29, and 2) why is there not a line item for the credit on 4/1? @Grant The benefit started on 3/30 and credit was posted on 3/30 so only rides (or UberEats) charged on 3/30 or 3/31 were eligible. If you took an Uber on 3/30-31, you should have seen a $15 credit applied on the final bill. @Grant. 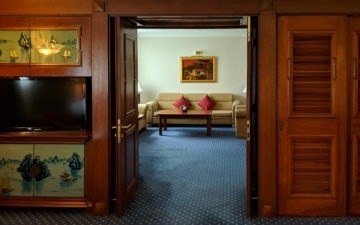 Amex added the $15 as a courtesy for us members before the month ended in March. They also added another one for April. As far as taking rides and not being discounted, that’s something you might need to adjust in your payments options. I have never had that issue and i took uber twice so far using my credits whether they are from Amex (this promotion), my amex (2x points), and my initial offer. What you could always do is re-link it up… Make sure all the numbers are there, and the new CID etc. I doubt that would be of issue, but i wanted to re-do it, and i did again no problems. I am not sure why you have that issue though. David is correct. The money that you were to spend on the uber would be subtracted from the $15 or whatever credit you receive AFTER the ride. Both my $15’s are available as soon as i saw it. I redeemed the first $15 and April’s there for me. Is the Uber benefit available on the Business Platinum Card? @Michael: As of now, no. It doesn’t look like Amex is doing a great job here. My March credit showed up (with no expiration date) and I didn’t have a chance to use it and now it’s gone. I received an email announcing I’d linked my accounts today and yet no sign of an April credit. 3. if 2 and 1 don’t work, contact AMEX and they’ll be able to tell you if you’re with the 2x points, and the $15 per month credit. I can tell you that if you do have an amex platinum card you do get $15 per month off of UBER if you did it correctly. I’m not sticking up for AMEX nor UBER but it’s important for you to do it correctly, if you arent, and get the results you’re seeking. I use both Uber and Lyft and I prefer Uber much more.. Better cars, better rates, and of course now with the $15 per month off. Hopefully it works out best for you. Do what you think is ideal! I’d love to see some discussion of Uber VIP. It’s not clear which cities this benefit currently applies in, nor if it makes much of a difference in ride quality. I found some older screenshots of the app which shows the rider the availability of drivers from the supposedly special subset, but I can’t replicate it in the current app version. @ GoAmtrak. I agree with you. I know that Uber VIP is in some cities, but not all. Why do you think they don’t give this to business card holders? Should I change my biz cater to personal? @ Michelle M — It’s not a benefit they’ve announced yet, though it could be introduced in the future. Only time will tell. I have the biz platinum. Is this benefit only on the personal version? @ Alt — Correct, this is limited to the personal version. Sorry. I hate the way the credit works. I used Uber for a business trip today and tried to override the use of the AMEX credit which I only want to use for personnel trips. Unfortunately, the credit was applied any way. So I had to open a case with Uber to change the payment. It is going to be a hassle to open a case every time I use Uber for a business trip and the AMEX credit gets applied. I’m assuming this doesn’t work with the DELTA platinum amex? Please note that Uber credits will only apply in a country with the same currency you received them in. So, the credit didn’t work for me in the EU. Might be something that bites others too. Can someone please let me know if this is valid only for U.S. rides (i.e. Uber rides taken on U.S. soil)? I use Uber a lot when I am traveling so not in the USA. Would love the guidance to see if AMEX is worth it or not. Thank you! Ana, we found out the hard way that it only applies to Uber charges in USD, so did not work for charges in Europe or Mexico.